We treat the whole family, working with both adults and children. Acupuncture treatments are formulated to meet the unique needs of each patient. East Asian Medicine is inherently a mind body approach, stemming from a medical lineage over 2,000 years old. The practice of acupuncture has always examined the health of the body in relationship to the mind and spirit; seeing the individual in the context of his or her environment. Shiatsu massage sessions offer relaxation and a natural approach to pain relief. Individualized treatments tailored to address your concerns. Using an East Asian medicine assessment, treatments are designed to ease pain physically, mentally, and emotionally, restoring health and a sense of wellbeing. Many people are surprised to find that Acupuncture treatments are relaxing and often painless. It is not uncommon for patients to take a 20-30 minute nap on the heated treatment table. Restorative treatments last about 60 minutes. Acupuncture is widely recognized for pain relief, but it also offers the capacity for deeper understanding of symptoms as the body’s wisdom. When you understand the language of your symptoms, they become valuable messengers steering you back towards balance. 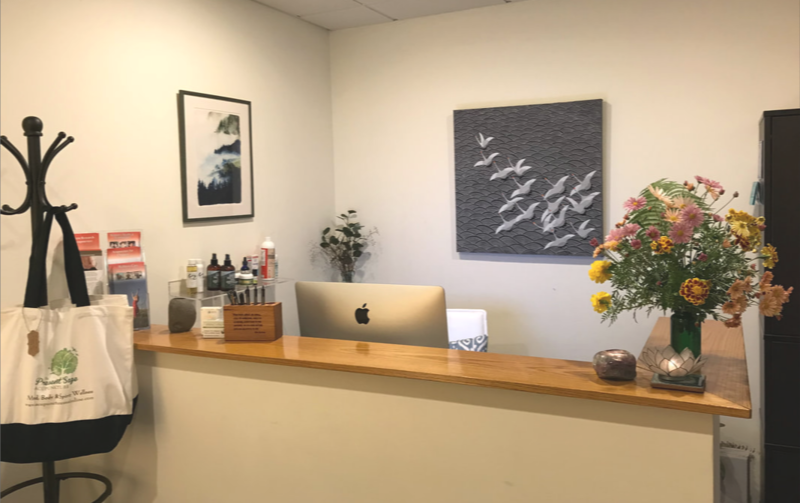 Wellness Coaching with Acupuncture allows more time to dive into conversation around the mind-body connection inherent in East Asian Medicine, as it relates to your condition. Anchoring wellness practices such as meditation or qi gong instruction may be offered, as these tools that help get to healing the root of recalcitrant symptoms. Sessions from 75-90 minutes. For those seeking massage alongside pain relief that is anchored in the mind-body principles of East Asian Medicine, shiatsu is an ideal therapy. 60 and 90 minute sessions are offered. The Present Sage Acupuncture is a family practice, treating adults and children. Individualized Acupuncture treatments are designed to restore physical health, balance and peace of mind. Shiatsu massage and bodywork sessions are also offered to relieve pain and stress. We are located in Narberth, but treat clients across the Philadelphia area, including areas like Bryn Mawr, Ardmore, Haverford and Manayunk. I relied on antidepressants and anxiety medication for over 10 years. My decision to get off of them was sparked by a dual force of wanting to become a mother and a fear of what the chemicals were doing to my body over time*…After my first meeting and treatment with MaryFatimah, I understood why her reputation preceded her. She gave me a sense of hope by providing the tools I needed to feel whole. She provides a tremendous level of guidance and insight as a part of her treatment that is absolutely priceless. Each session helps me achieve a physical and spiritual balance that is vital for optimum health. I am coping with my anxiety in a way that is not only effective, but empowering. I am so incredibly grateful to MaryFatimah and the impact she has had on my life and well being. *Please note that it is imperative to taper off any prescription medications under the supervision of your allopathic doctor. I have gone and continue to go to MaryFatimah for treatment and she is wonderful at what she does. She truly listens to my needs and concerns and is genuinely interested in my well being. Her treatment rooms have an atmosphere of peace and calming and she too has this energy with her always. This, combined with her extensive skill sets have helped me over come a serious health issue and maintain a well being that I am so grateful for. .
My immediate feelings after a session with MaryFatimah always include a feeling of peacefulness and a sense of feeling lighter and clearer…I have realized that acupuncture is so much more than needling; it is a healing for the mind and body. I came to MaryFatimah Weening’s acupuncture studio in extreme pain from a herniated disc in my lower back. I could barely walk and was in extreme pain down my left leg. I had never had acupuncture treatment before so was a bit cautious as to the who eastern medicine, holistic healing approach. From the moment I began treatment Mary has been extremely thorough, considerate with an amazing bedside manner. In a few short treatments I experienced measured improvement. Now I go for relaxation and to treat other maladies. I highly recommend using her for any extreme pain issues (back, leg, migraines, etc.). She is tremendous. I have had acupuncture off and on for over 20 years. I have had good acupuncture, mediocre acupuncture, and now acupuncture by MaryFatimah Weening. This is great acupuncture performed by a uniquely sensitive practitioner. She listens, she is caring, and she seems to have a special sense that allows her to see and open the passages in your body that need to be opened. I went to MaryFatimah for chronic knee pain. I am getting significant relief from my knee, and am much more mobile with less pain; and, I’m getting so much more in terms of well being, sleep, etc. MaryFatimah is a compassionate, intuitive and skillful acupuncturist. She is truly gifted in the healing arts. I encourage anyone who is considering acupuncture to see MaryFatimah and get ready for a life-changing experience. Treatments with MaryFatimah at The Present Sage is a regular part of my wellness routine. Being well does not mean never being sick or in pain. Often symptoms (such as pain) are clues from the body that a change and treatment are needed. Acupuncture and Chinese Medicine can help you translate your body’s symptoms into a plan of care. MaryFatimah Weening Master of Oriental Medicine, L.Ac. Dipl.Ac. What I enjoy most is helping patients feel like themselves again. Areas of practice focus: chronic, pain, stress, anxiety & depression, GI and auto-immune disorders. Empowering patients to maintain balance with greater awareness of the links between emotional and physical health. Mary Fatimah’s approach is relationship-centered with each patient. Chinese Medicine is predicated on the interconnectedness of the mind and body and treatments often address physical, emotional and mental blockages to health. MaryFatimah has practiced acupuncture for 9 years, and is licensed by the Pennsylvania State Board of Medicine, and nationally board-certified by the NCCAOM. She holds a B.A. from Smith College, and a Master of Acupuncture and Oriental Medicine from Maryland University of Integrative Health. MaryFatimah’s studies with advanced clinicians and scholars in the field of Oriental Medicine such as Heiner Fruehauf, Dr. Jeffrey Yuen and Kiiko Matsumoto continue to inform her clinical practice. 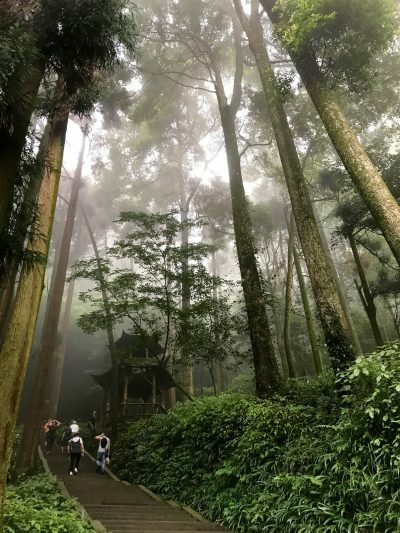 In 2017 she studied in China with several classical lineage holders of Chinese Medicine specializing in Acupuncture, herbal medicine, and Daoist self-healing qi gong and meditation. schedule a complimentary phone consult to find out if Acupuncture is right for you.